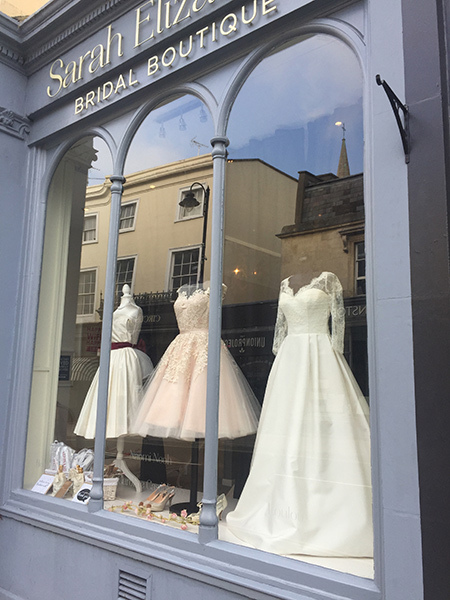 Situated in Montpellier, just outside of Cheltenham city centre, Sarah Elizabeth Bridal Boutique presents an elegant showroom featuring a world-class collection of gowns from UK designers. Boasting a tasteful and glamorous French shabby-chic interior, the boutique offers a comfortable and warming environment in which you could easily and happily lose many hours of the day! 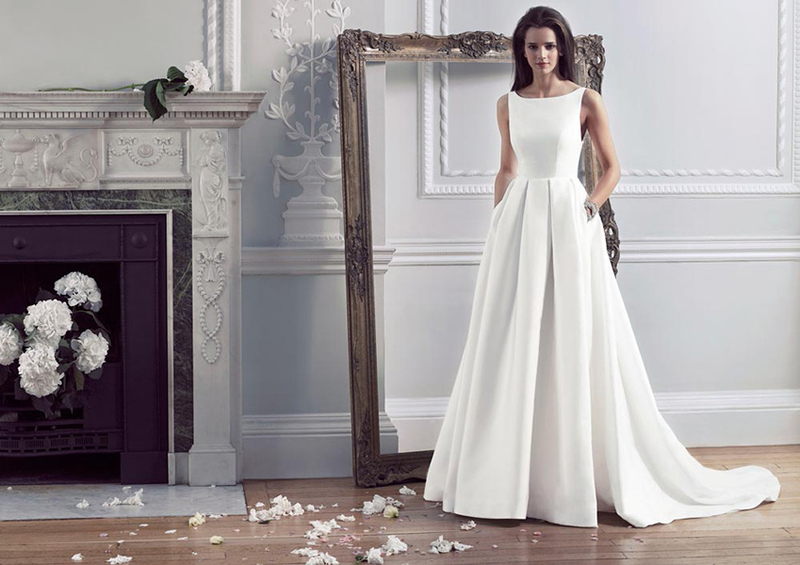 Recognising that every bride is unique, the experienced Sarah Elizabeth staff at the bridal boutique will sensitively consult with you, gently guiding you towards the perfect gown. 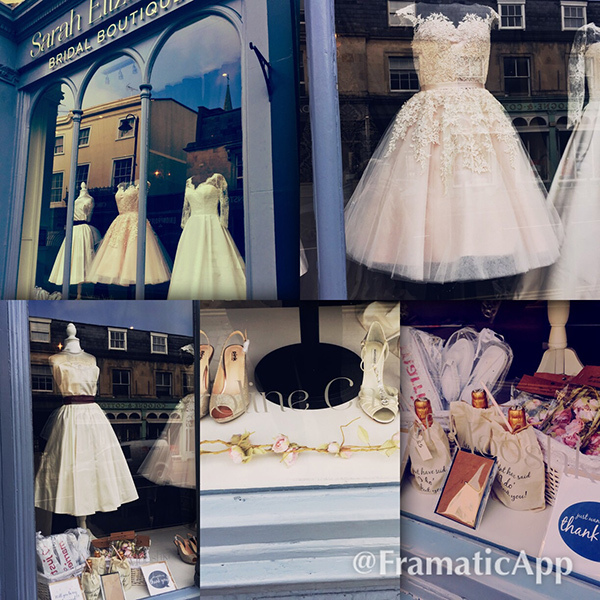 This is more than just a dress shop! The boutique offers a joyful experience where you and your bridesmaids can all indulge in the elegant showroom, with exclusive use of their luxurious dressing room. 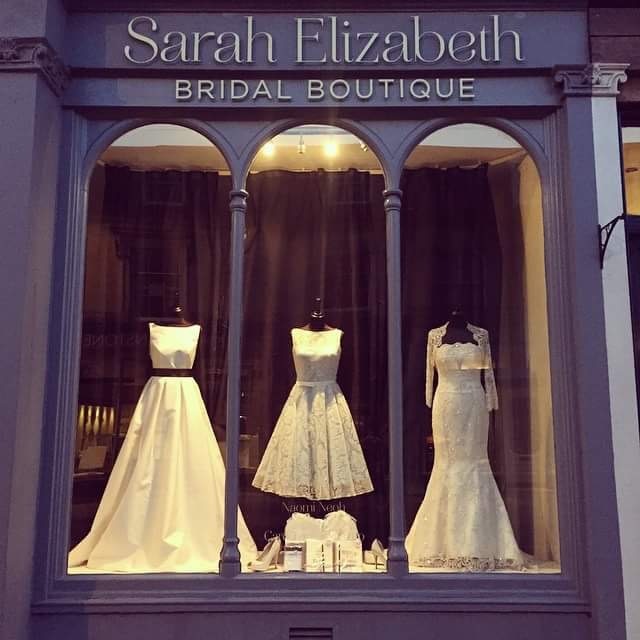 Sarah Elizabeth Bridal Boutique is, of course, owned by Sarah Elizabeth herself. 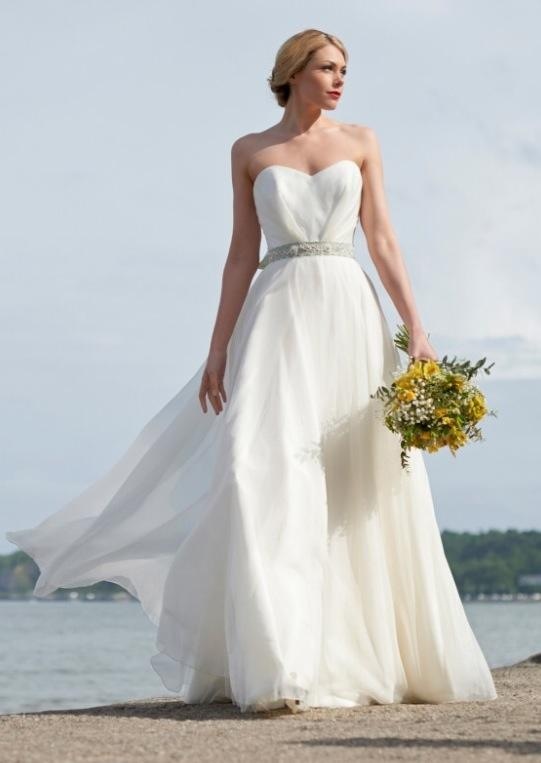 Offering a personal one-to-one service, with the help of experienced in-house tailors and other friendly staff, the chic bridal showroom presents an experience like no other. The boutique regularly hosts designer weekends for many of her favourite gown suppliers - so they are always at the cutting edge of fashion. Do take a peek at the blog on their website to keep up with the latest - access via links at the top of the page. To round off the successful bridal dressing experience, Sarah Elizabeth also offers an in-store range of wedding accessories. 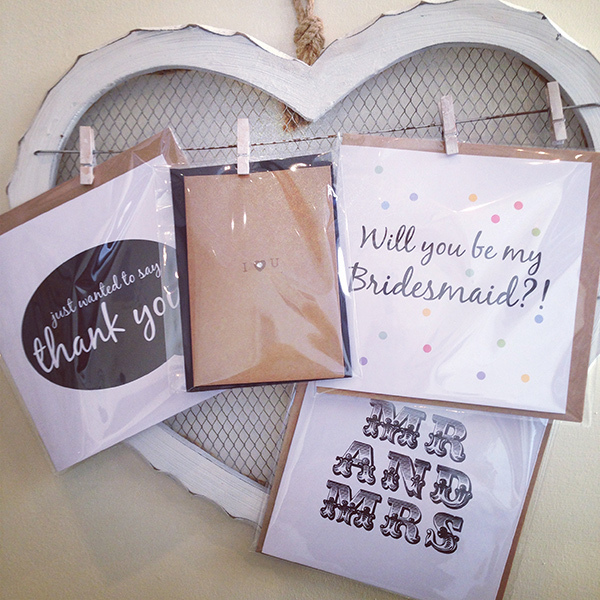 Decorations, Novelty Items - The innovative Sarah Elizabeth Bridal Boutique also features a compact range of novelty items from Cotswold-based Lush-Stuff including pretty framed words, select stationery, cards and assorted fun wedding memorabilia. Get in touch with Sarah Elizabeth Bridal Boutique to book an appointment, via the contact details below this listing. Sarah I just want to send you the biggest thank you ever for giving me the most enjoyable experience choosing my wedding dress! I felt like a true princess in your boutique, you made me and my party feel welcome and were so helpful! Every dress you have is stunning and have an amazing range, my dress was the first one I put on in your boutique and I loved every inch of it! I just want to thank you and your team for the work you put into making it fit so perfectly! The whole experience with you has been so enjoyable and personal. I saw one Bride say it was like buying your dress from a friend and she's absolutely right! Thank you so so much! 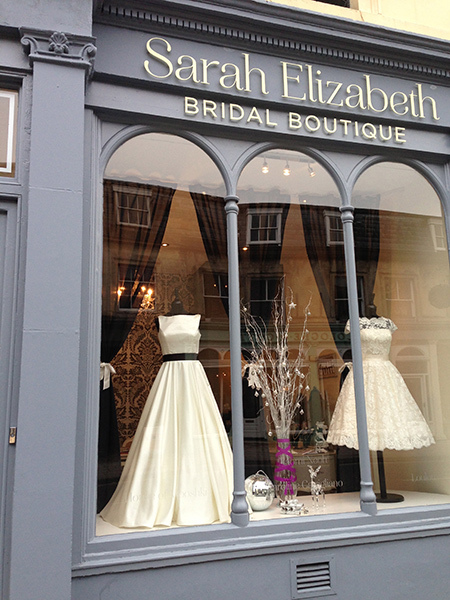 From the moment we walked through the door at Sarah Elizabeth Bridal Boutique, we were given a warm welcome and felt at home with a glass of bubbly. Sarah and the seamstress Renni make a great team, bouncing off each other and dealing with all aspects from start to finish effortlessly. They were both an absolute pleasure to deal with and we had lots of fun and laughter along the way. It was a completely stress free experience, with both going above and beyond. Nothing was too much trouble and their attention to detail was second to none. It was great to have the freedom to add bespoke elements to my dress. I couldn't have asked for more and I'm eternally grateful for Sarah helping me to find the perfect dress - which was no mean feat having explored countless other shops, none of which compared in the slightest. Thank you very much ladies! Thank you so much for my stunningly beautiful dress. I am so grateful to have found you by chance while passing through Cheltenham. I wanted to design a custom made tailored dress but was struggling to find a supplier. Sarah was so easy to work with. She was always willing to listen and made wonderful suggestions to ensure I had the perfect dream dress. Thanks to her my dress was not only unique but highlighted my personality and is one of a kind. Rene did a fantastic job making the dress fit me perfectly. She was happy to make any amount of alterations until it was right. Thank you so much for giving me my dream dress. It was beyond perfect. Let others know what you think of Sarah Elizabeth Bridal Boutique by giving a star rating and a small review.